The Rebel Sweetheart. : Fashion Pulse | Collar Stays. All my life, I never really paid much attention to collar stays - that is, until I became a wife and a mother. So what exactly are collar stays? They are shirt accessories - those smooth rigid strips of plastic (sometimes metal) that are inserted into the pockets found on the underside of the shirt collar. Rounded at one end and pointed at the other, collar stays are quite significant, especially when you're dressed to the nines. They ensure that the collar lies flat against the collarbone, and stays that way. Without these accessories, the tips of your collar may tend to curl upward, which could make you look less dapper, sometimes awkward, and definitely not cool. Like cuff links and money clips, collar stays must never be overlooked and should always be a part of any man's wardrobe, especially for those who are fond of wearing dress shirts and ties. Collar stays are usually sold by pairs, sometimes by the dozen. It's always good to have several of these - say, one pair for each day of the week. 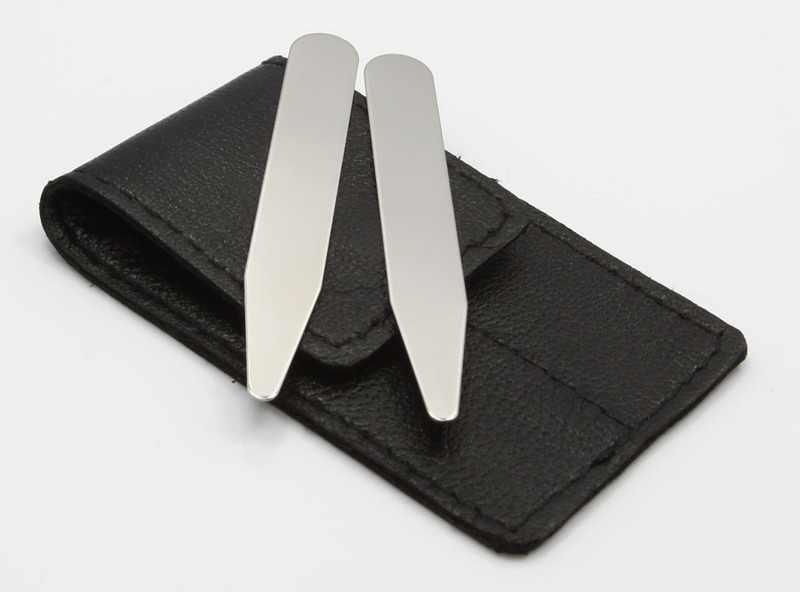 Some even prefer to buy collar stays in bulk, such as those found in the Qstays' website. Remember to care for your collar stays, though. They should be removed before you wash or iron your shirt. Otherwise, this may result to permanent damage to your wardrobe.